“For Matthew Irving, the 21-year-old former North Providence honor student, who has become the focus of so many prayers these days, tonight’s flight from Boston to Germany will be far from routine. 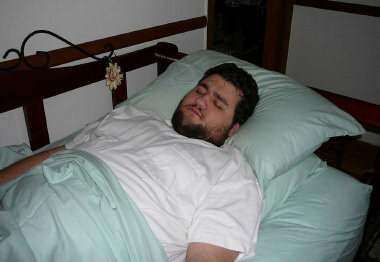 He has reached the point, family members say, where the pain racing up from the base of his spine has been relentless. He has become so sensitive to light, sound and touch, they say, that even the sound of light music is painful to his ears, requiring him to lie motionless in a darkened room. An experimental treatment in Germany may lead to a cure. The treatment is not allowed in this country, the parents say, because the FDA does not allow patients to be deliberately placed in comas for more than two days. The treatment in Saarbrueken, Germany, involves putting the patient in a coma for five to seven days, during which the body is filled with massive amount of ketamine in an attempt to “reboot” the body system. Psychedelic Therapy: Real Thing or Hallucination? Tom Shroder has written an excellent comprehensive article titled ‘The Peace Drug‘. Published in the Washington Post it focuses on MDMA therapy for PTSD. But there is something more at work inside her, something growing from the little white capsule she swallowed just minutes ago. She’s subject No. 1 in a historic experiment, the first U.S. government-sanctioned research in two decades into the potential of psychedelic drugs to treat psychiatric disorders. This 2004 session in the office of a Charleston, S.C., psychiatrist is being recorded on audio cassettes, which Donna will later hand to a journalist. The tape reveals her reaction as she listens to the gentle piano music playing in her headphones. Behind her eyelids, movies begin to unreel. She tries to say what she sees: Cars careening down the wrong side of the road. Vivid images of her oldest daughter, then all three of her children. She’s overcome with an all-consuming love, a love she thought she’d lost forever. “What level of distress do you feel right now?” a deeply mellow voice beside her asks. Donna answers with a giggle. “I don’t think I got the placebo,” she says. UPDATE: Tom Shroder, the editor of the magazine will be fielding questions and comments about this article Monday at noon here. 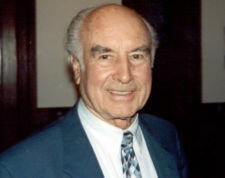 Albert Hofmann, the chemist who first synthesized LSD ranked highest in the criteria which included paradigm shifting, popular acclaim, intellectual power, achievement and cultural importance. He is now 101 years of age.